Twin screw vertical mixers in a trailer version with capacities from 580 to 1100 cubic feet. 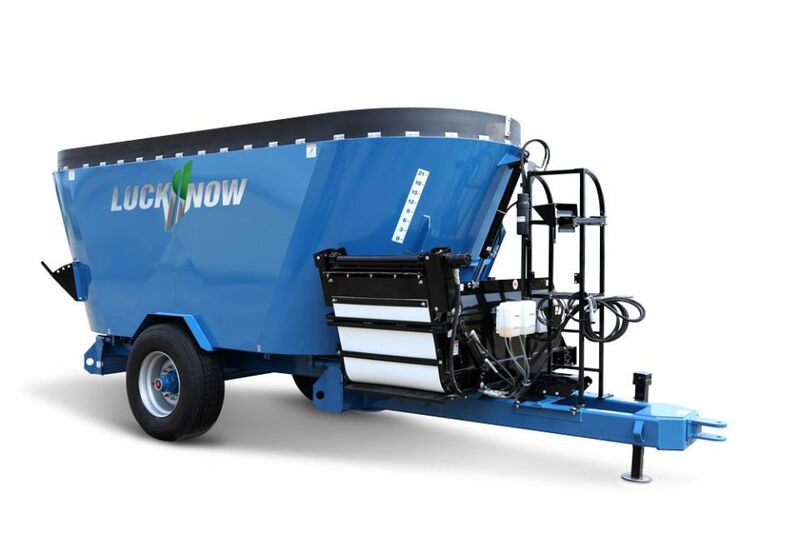 The mixing auger is pto driven, the door and discharge are hydraulically operated. 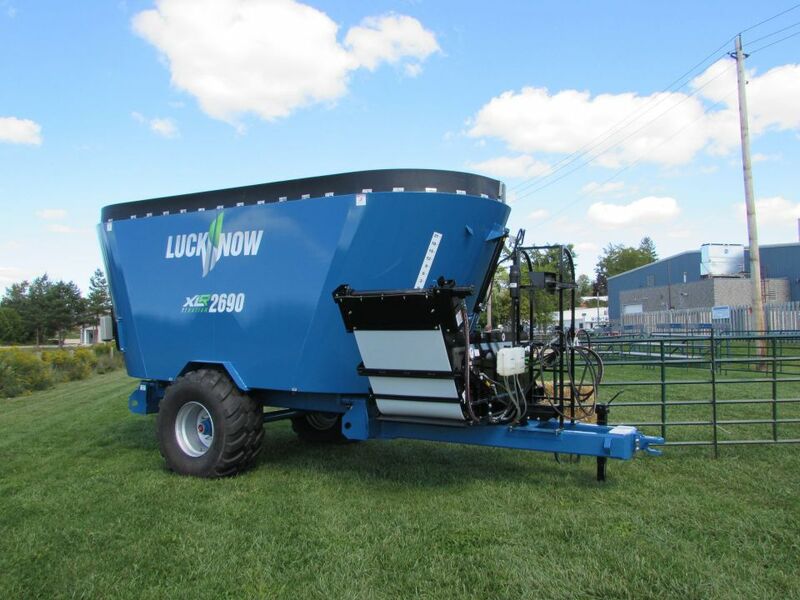 The large screw auger design enables the processing of many varieties of big square or round bales, allowing them to be combined with silage and other commodities. Unless otherwise indicated, all dimensions are in inches and pounds with standard equipment installed. 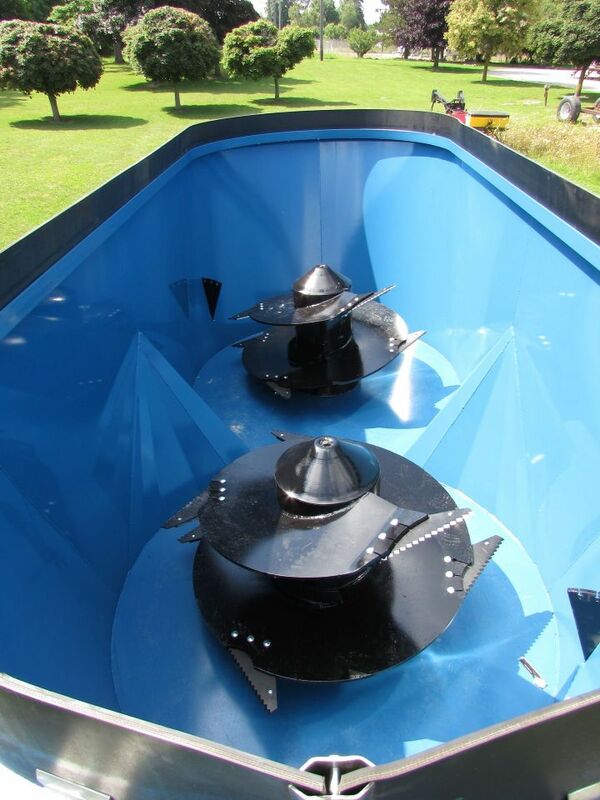 Thick flighted augers, floor and tub walls for a long wearing life. 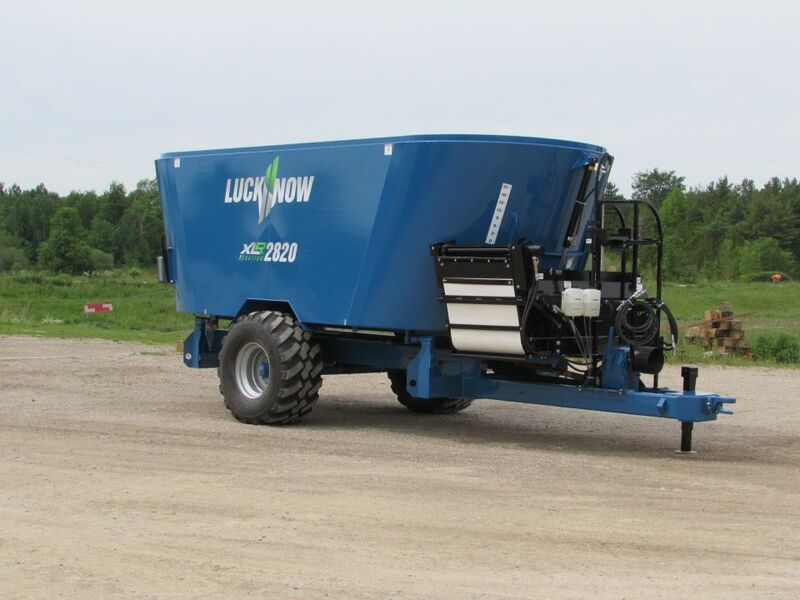 A conveyor with a hydraulic raise & lower extension to feed into taller bunks. Many extension lengths are available to fit your specific needs. A large number of scale options are available including wireless systems, remotes, large view indicators and more. See the download section for more information. 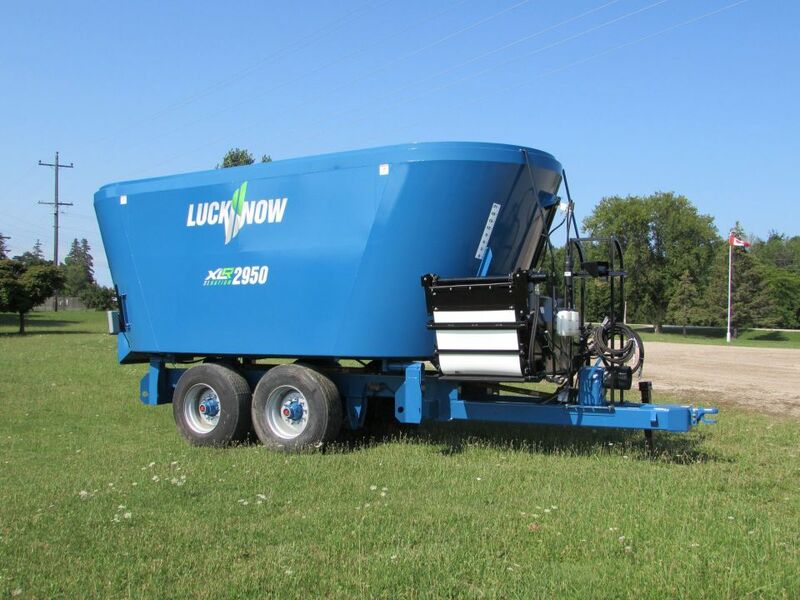 I wanted to tell you how satisfied I am with your Lucknow feedbox. I purchased the 2290 model and am pleased with its performance. The low sides make loading easy and fast. The speed in which it mixes the feed is amazing. By the time the last ingredient goes into the mix the load is ready to be fed to the cows. They are very well built and competitive machines compared to the other makes out there. 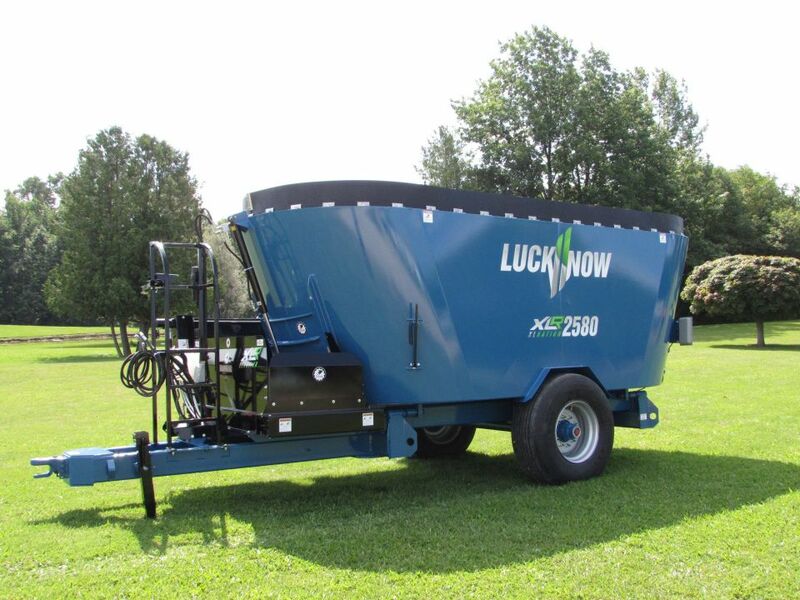 The difference is that if service is needed on our LuckNow mixer, we are going to get it right away. The other manufacturers won’t do that. We are very happy with our LuckNow mixer.